Campaigners said the move was “disappointing and regressive” and that stop and search is “not effective”. Under the new rules, inspectors will be able to authorise the use of section 60; currently, more senior officers have to give approval. 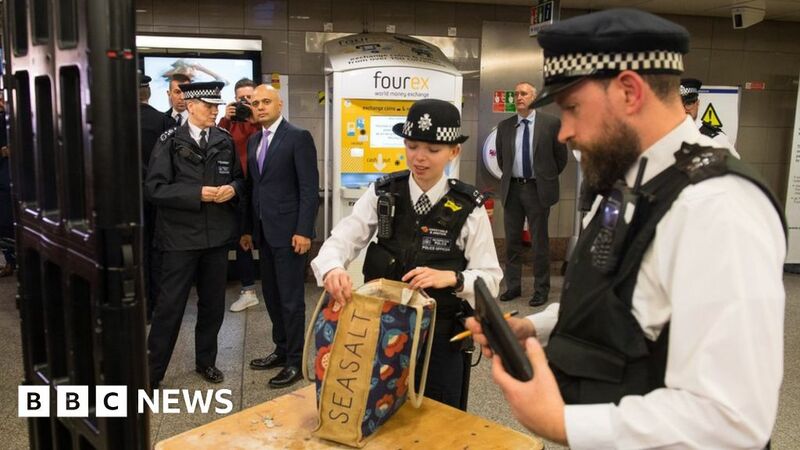 There will also be a lower threshold for authorising searches – police will only need to reasonably believe serious violence “may” occur, not that it “will”. With 285 deaths from stabbings in 2017-18, the most ever recorded, and a spate of high-profile killings this year, ministers have come under increasing pressure to tackle knife crime. A study for the College of Policing looked at ten years of stop and search data in London and found it to be “inconsistent” and “weak” as a deterrent. In order to reduce violent crime by 2% in a borough during the following week, police would need to carry out 200 times the number of weapons searches, it said. The extra powers roll back a key change made by Prime Minister Theresa May in 2014 when she was home secretary. Partly as a result of the 2014 changes, the use of stop and search fell in England and Wales from a peak of 1.4 million ten years ago to 277,378 last year. The numbers of searches fell for every ethnic group, but ethnic and racial inequality has grown. In 2014-15 black people were four times as likely to be searched as white people, while in 2017-18, they were 9.5 times as likely to be searched.